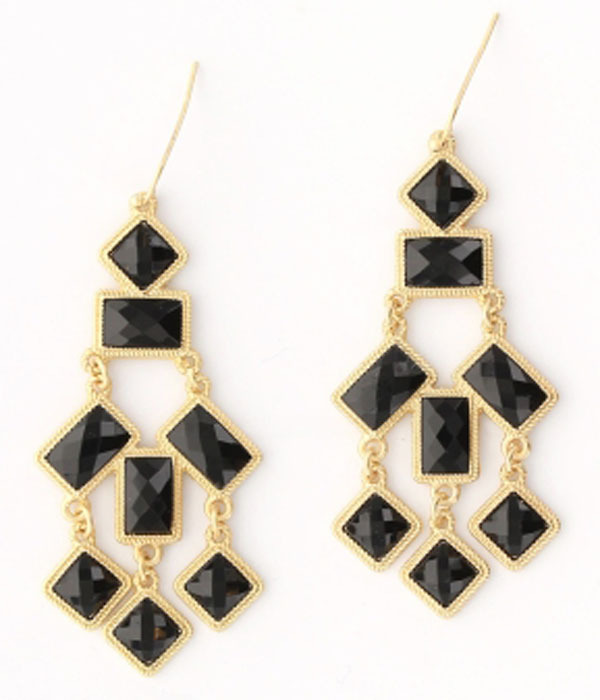 Art Deco nostalgia hallmark the Emma chandelier earrings. Striking in classic cast gold against the noir of faceted angular stones. Perfect geometry for your ears that drip chicness. Our stone earrings are of the highest quality and come with a hassle free exchange policy.